Transactive response DNA binding protein (TDP-43) pathological cytoplasmic aggregates are found in >95% of ALS cases, however, their association with ALS disease mechanisms remain unclear (see discussion in news stories from April 2011, November 2013 and February 2014). A recent study, published online on March 10 in the Proceedings of the National Academy of Sciences from Zyoshang Xu’s laboratory at University of Massachusetts Medical School in Worcester, hypothesized that accumulation of TDP-43 in RNA-protein aggregates reduces the amount of TDP-43 protein available to perform essential RNA metabolism functions in the nucleus. To test this hypothesis, the group generated transgenic mice with partial loss of TDP-43 expression using transgenic RNAi. These mice developed motor dysfunction, paralysis and death, suggesting that motor neurons are particularly vulnerable to TDP-43 dysfunction. 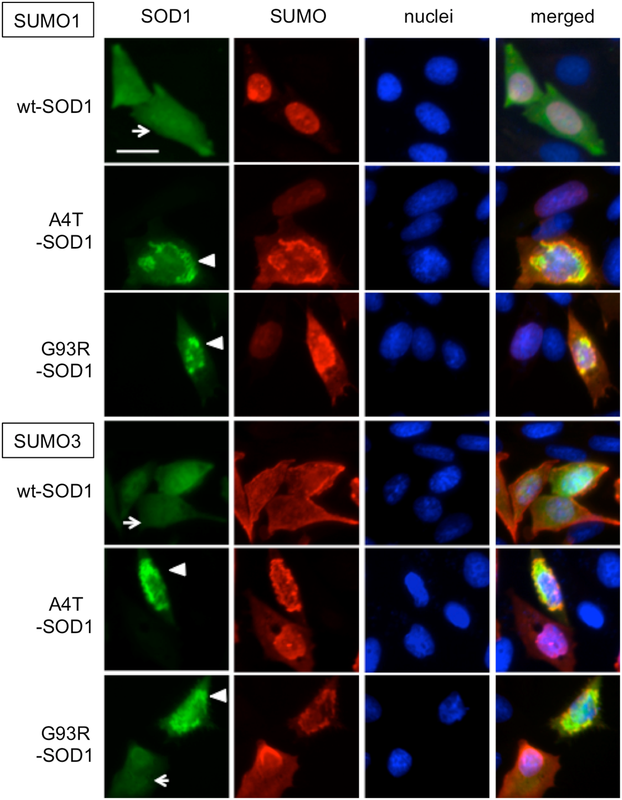 Loss of TDP-43 was also associated with concurrent changes in the splicing of TDP-43 target genes similar to observations from human ALS cases.